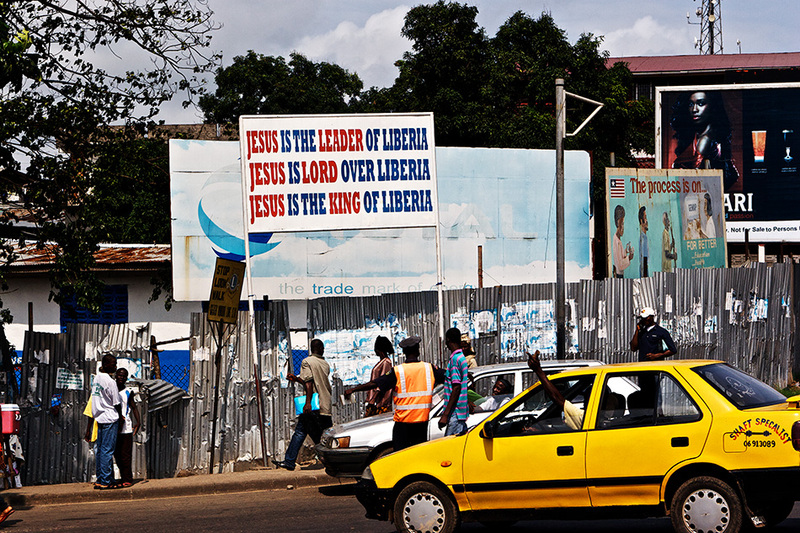 Yes, Liberia is a very religious country. But beyond that slightly trite observation, what I love about this image taken in downtown Monrovia, is that every single person in the image is in someway interacting with another person. I didn’t intend this, it was just a series of pictures taken downtown. In common with most African societies, Liberia is a highly socially interactive experience. Everywhere you go in the city people are talking, joking, arguing, trading – networks and connections are everything and it’s rare to see people foregoing some kind of human interaction in order to go about their business as quickly as possible. Westerners sometimes come across as rather gauche and joyless people because of our tendency to leap in immediately and directly with what we want from a given situation, without first taking the time to acknowledge the presence of another person as a human being, often achieved simply by circuiting around the stories of the day, news, family, business, etc.